Wednesday, October 22, 2014 • 7:30 p.m. 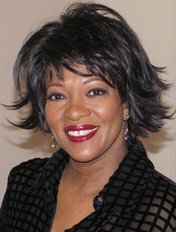 In celebration of HoCoPoLitSo’s 40th year, former National Poet Laureate Rita Dove will read from her acclaimed most-recent book of poems, Sonata Mulattica, about historical Afro-European violinist George Bridgetower. Violin virtuoso Joshua Coyne will play original music inspired by literature. Coyne’s story as a young African-American classical musician is juxtaposed with Bridgetower’s in the upcoming documentary film Sonata Mulattica, which also features Dove. Extended scenes from the film will premiere at the event, followed by a discussion with Dove, Coyne, and the film’s creators. Presented in partnership with Candlelight Concert Society, Columbia Film Society, the Howard Community College Music Department, and the Columbia (MD) Alumnae Chapter of the Delta Sigma Theta Sorority. By hocopolitso in Event on July 28, 2014 .